Haruyuki-kun, make me split my sides with laughter. I have to credit the TLC for fixing my stupid misinterpretation of this line. Then again, all the puns in these specials are silly, you never know if they’re correct or not! Although it’s not really a mistranslation, it’s just taking a literal form over a liberal one. 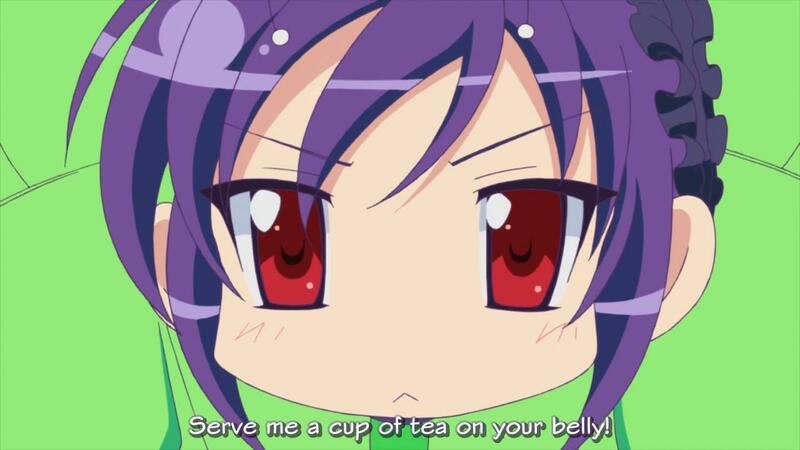 へそで茶を沸かす is a Japanese proverb, meaning “Don’t make me laugh!”, but they’re using it in a very literal sense in this line, which makes it making tea on someone’s belly.